Check out our new single "Bang" from the forthcoming album "Breakin' Out". 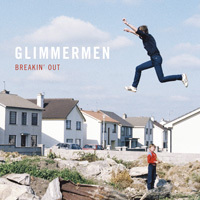 Glimmermen return with their second album “Breakin’ Out” on June 17th. Recorded at The Meadow in Wicklow by The Deaf Brothers (Rian Trench & Robert Watson) at the beginning of 2016, the album features nine songs and will be available on vinyl CD and digital download/streaming. Glimmermen demoing songs for their next album. More photos in the gallery. Glimmermen will play the Global Green stage at Electric Picnic 2015 on September 5th. The band are busy working on material for their second record due out 2016 and looking forward to airing the new songs at the gig. Glimmermen will appear at Blackbird Pub in Rathmines on Friday 8th May as part of this year's Canalaphonic Festival. No gigs booked at the moment, please check back soon.